A premier MTG investment. Among the key MTG cards to own from the inaugural Alpha issue. 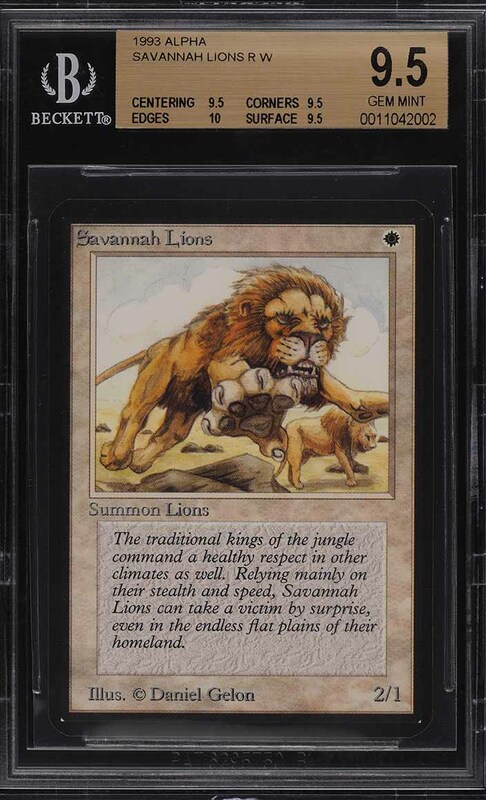 A unstoppable force, the Savannah Lions is a immensely powerful Cat creature which is problematic for any opponent. With its immense popularity in active game use, there's no wonder very few of these cards have ever reach the illustrious BGS 9.5 designation; one of only four with the offered card being one of the few to show quad+ subgrades. 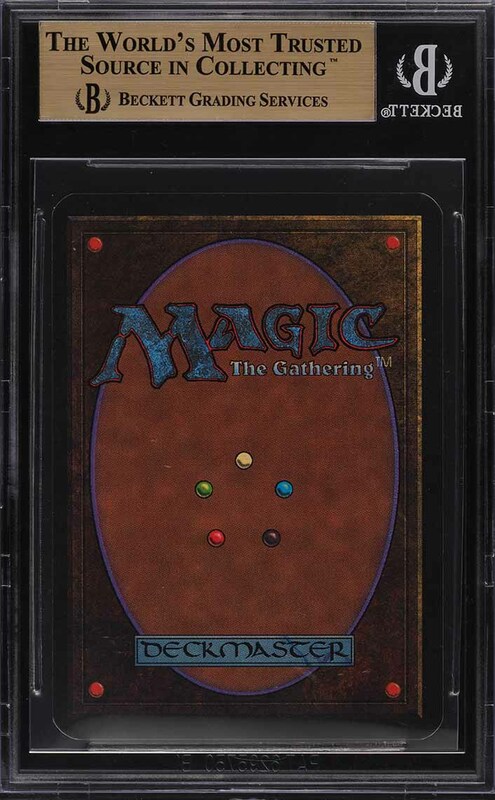 Simply put, this is among the finest copies in the market and represents a world-class MTG rarity. This natural beauty exhibits pristine edges with keen corners and precise registration. Nicely framed with dark black borders and glossy surfaces. Free of any indentations or imperfections with elegant color and a gorgeous illustration by Daniel Gelon. 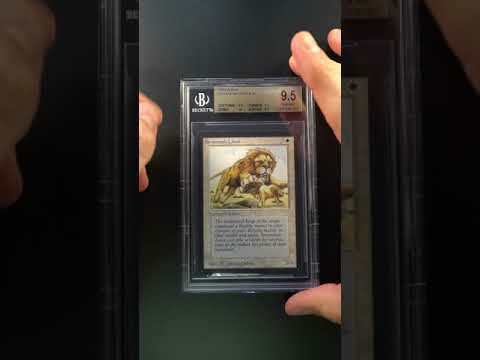 This Fine Art equivalent investment piece is poised to bring a quality return as the trading card market continues to mature. Comes highly recommended by PWCC. Part of a magnificent run of high-grade Magic The Gathering examples on the auction block this month. One of nearly 15,000 cards, lots, and sets up for bid in our 4th Auction of 2019. Click on the link above to view the other PWCC auction lots. The PWCC Vault is now live! Open a PWCC Vault account and receive a custom Vault shipping address. Purchases shipped to the Vault receive free shipping and reflect Oregon's 0% sales tax rate.